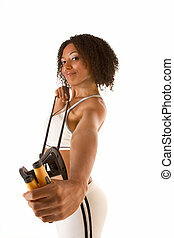 Attractive young woman doing cardio workout. 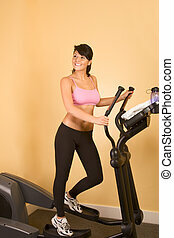 Young woman working out on elliptical machine. Latina High school or college female student sitting by the desk at class doing homework.